This dress is very pretty. It is full and the beading and lace is lovely. It is a bit see-through and will probably need a slip or playground shorts underneath. ProsPretty, very full, nice embellishments, fits true to size. ConsA bit thin, so need a slip or playground shorts. I do not purchase many items online, especially clothing! I was unsure how it would fit and texture/quality. My daughter will be 8 this summer. She is of average size. I bought her a size 8, and it fits perfect. The dress is simply beautiful and of good quality. So much nicer than the picture even displays. Highly recommend. Dress was even prettier than in the picture. Nice quality fabric and lace. Very full, perfect fit. The dress is beautiful and was delivered so fast!!! The dress is simply beautiful ! My daughter is so excited to wear it for her First Communion !!!! I would definitely use this service again. 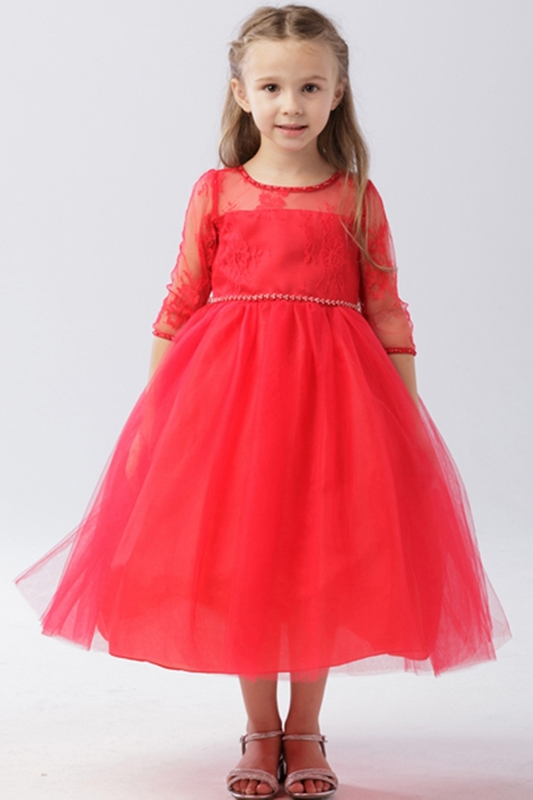 I ordered my flower girl dress from here and it is absolutely gorgeous. The dress was snipped and ur arrived in a timely manner. I am totally pleased with the service and product. The dress is as beautiful as the picture. 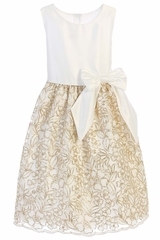 I can't wait to see our flower girl wearing this at my daughter's wedding in September. 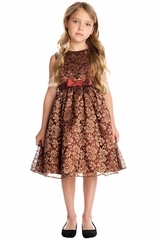 This dress is very pretty with lace and details on the neckline and around the waist. My daughter picked it out for her first communion and she just loves it! I love it too. This dress is gorgeous and a great price! 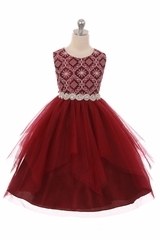 I ordered the dress for my daughter. It looks beautiful on her when she tried it on. I'm very pleased with the dress. This dress is so much prettier in person. It is a beautiful bright white. The lace is gorgeous and it has just enough sparkle around the neck and waist. The skirt has so many layers making it very full. It will be perfect for my daughters first communion. 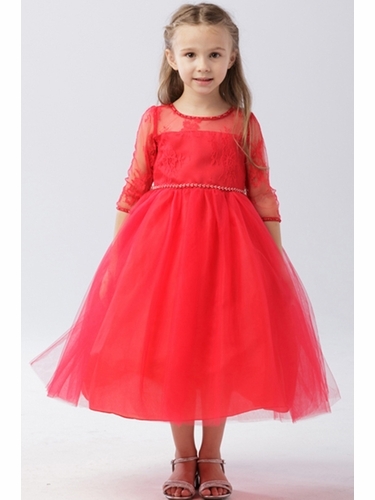 Ordered this dress for three flower girls. One of the sizes was on back-order but was restocked quickly. Customer service was excellent. Dresses came in quickly after the restock. They are very beautiful with a very full tulle skirt and delicate beading details on the bodice. They are light weight and airy so the girls will be comfortable all day long but I will add a slip as the skirt liner doesn't provide good coverage. I'm glad they actually had a size 14, it is hard to find! Highly recommended this site and will order here again. Beautiful dress! Fits my neice perfectly!